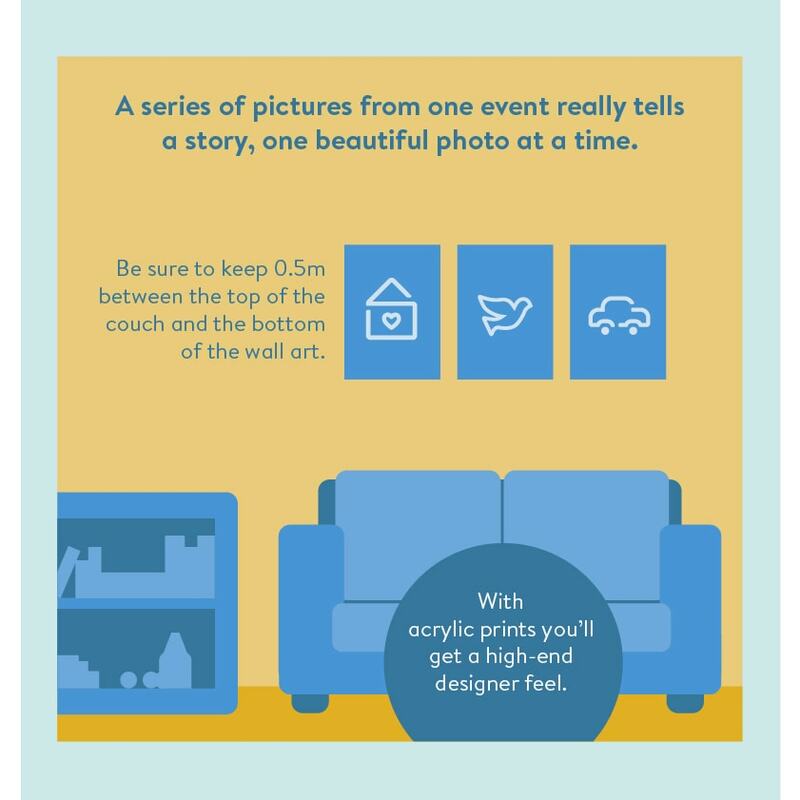 Take a look at our hints and tips for creating a photo wall with wall art and photo prints to reinvent your space. 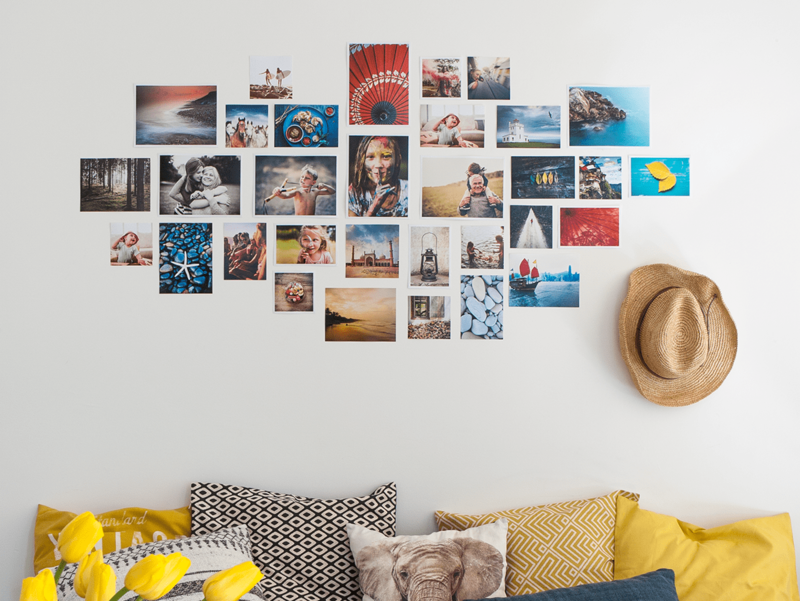 A photo wall is a simple but effective way to add a personal touch to any space in your home and using wall art and photo prints to create the perfect display will give your photo wall a unique finish. 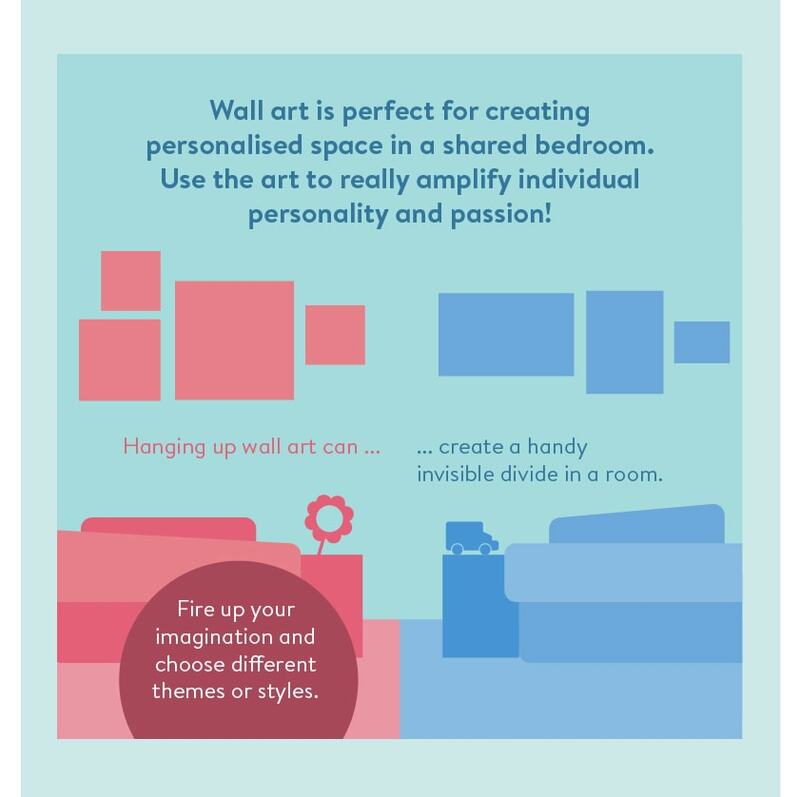 We’ve got five different wall art materials – canvas, mounted prints, acrylic and aluminum– so if you’re not sure what wall art you want, why not take our quiz that will give you some guidance when it comes to creating your own. You can now make your wall art in our mobile app so it’s never been easier to get creative. There are so many creative ways to approach a photo wall, from collages to storytelling or simply being creative with where you hang them – it all makes a difference to the final product. 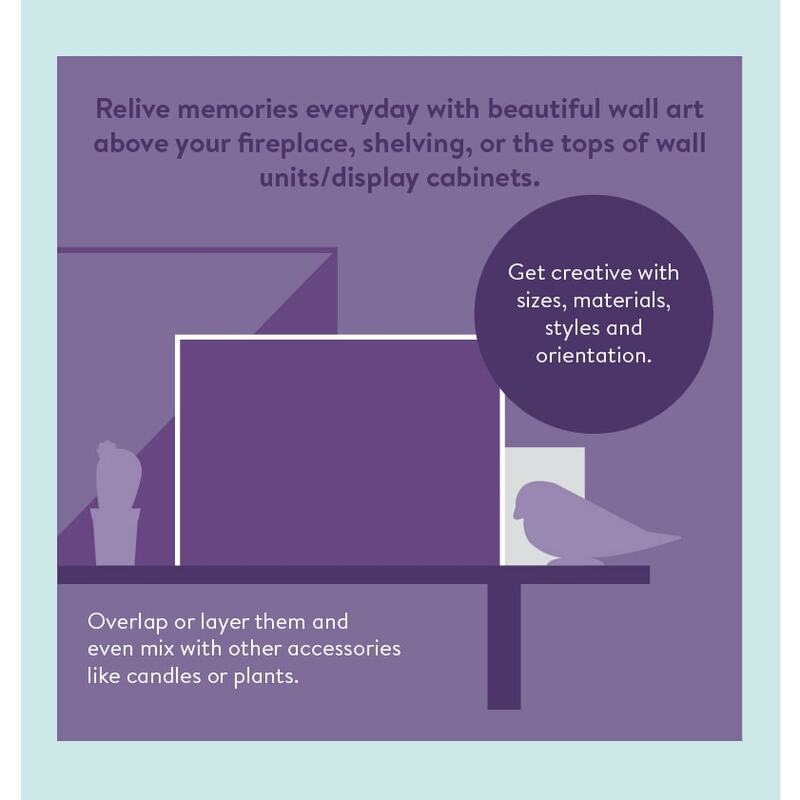 Make the most of small spaces in your home. 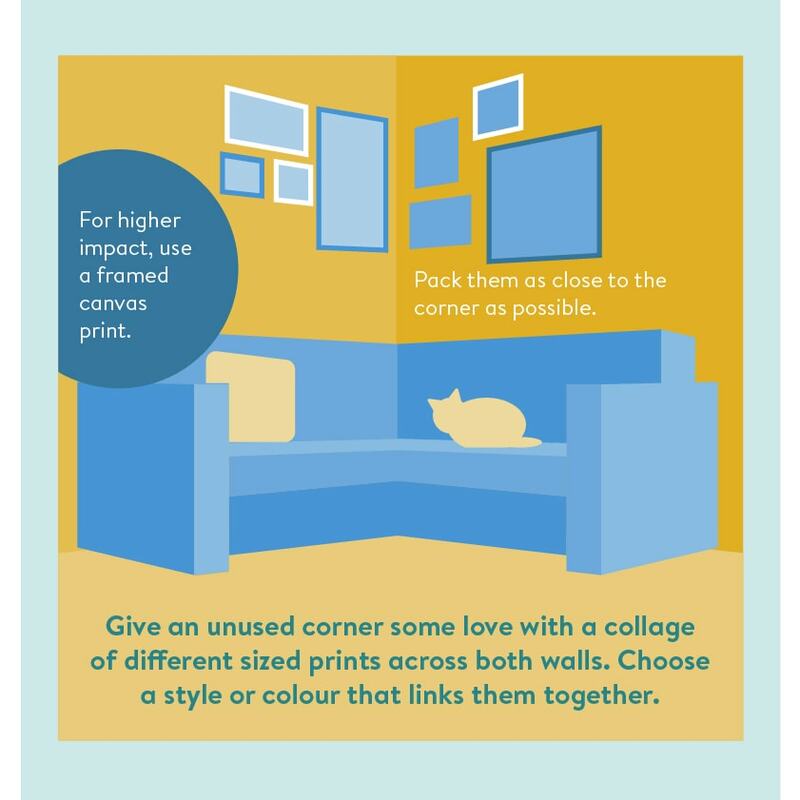 An unloved corner can quickly become a centrepiece with some thoughtfully placed wall art and photo prints. 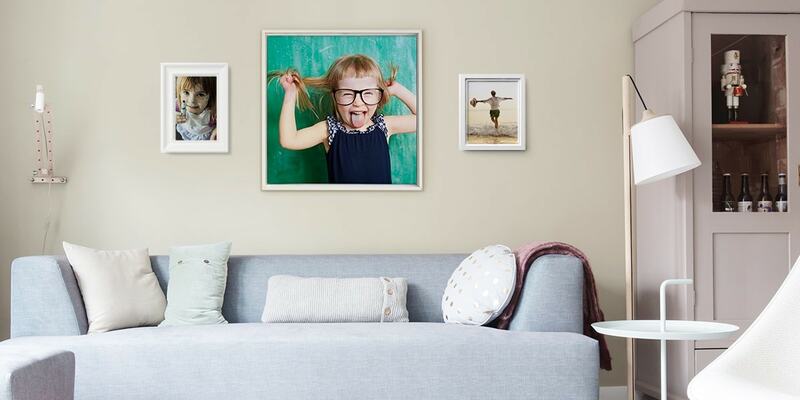 Choosing small photo prints and wall art mean you can create the photo wall in almost any room, whatever the size. One way to really create an impact with your photo wall is to use images from one particular event. A wedding or birthday party for example often produces so many photos that it’s hard to choose which ones to display. Why pick? Display a series of them on your photo wall. Use photos with a similar colour scheme to really tie the theme together. We love using one colour to bring your photo wall together and create a consistency. 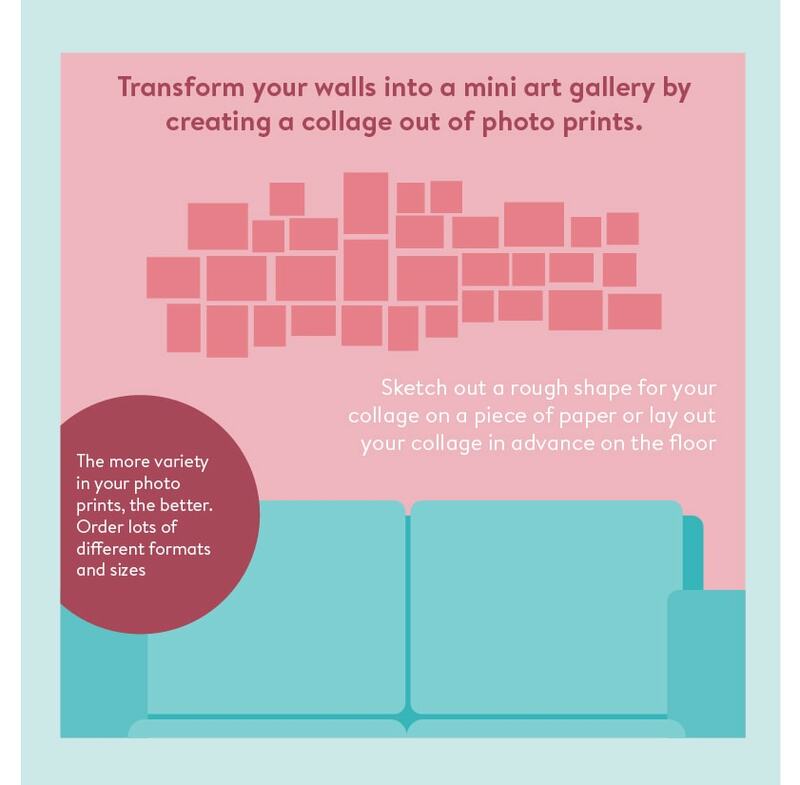 This works especially well if you spread the collage between two walls in the corner of a room. Remember you can always add frames to your canvas wall art for more impact. Play with sizes and styles of wall art for an interesting display. 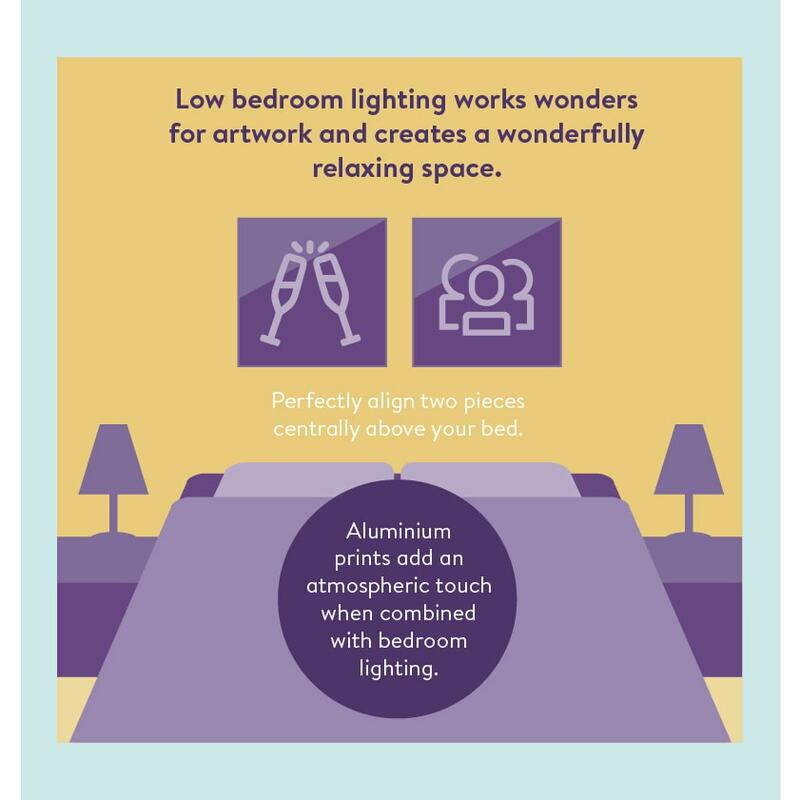 Your bedroom may not be the most obvious space for a photo wall but the low lighting and relaxed atmosphere is perfect for displaying your favourite moments. 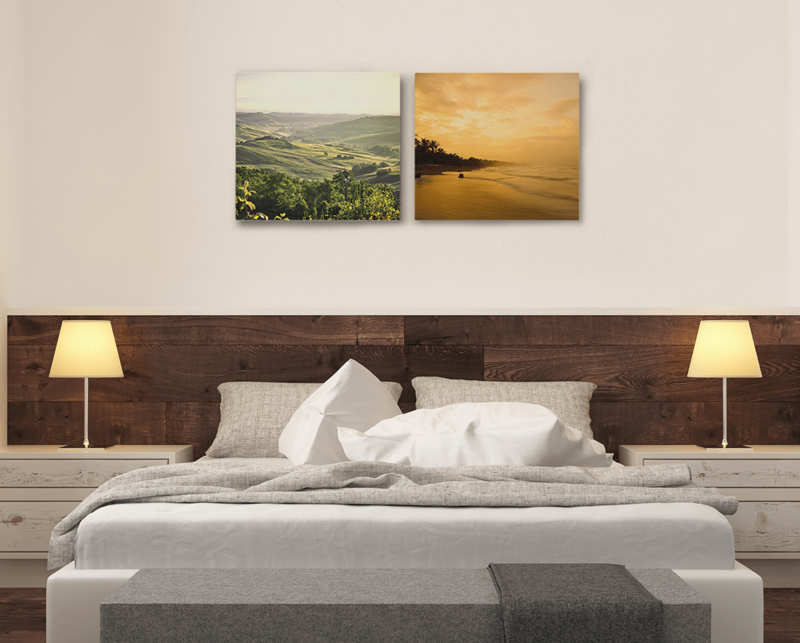 Two pieces of wall art aligned above the bed will create a symmetry in your space. Photos of a calming scene like wildlife or nature is perfect for this sleepy setting. In a shared bedroom, a photo wall can personalise space and give each corner of the room a separate identity. Two different colour schemes or one display of cityscapes and one of country scenes will create a divide in the room without taking up any floor space! 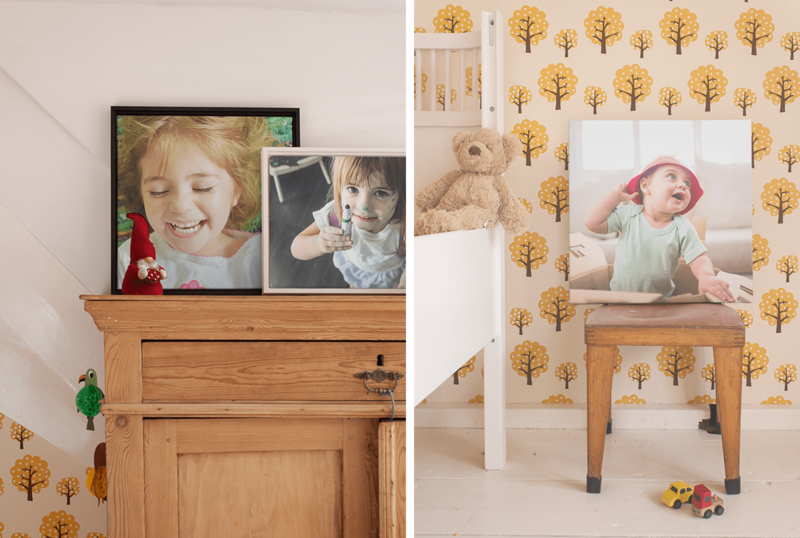 Perfect in a kids bedroom, you can use photos of the children to distinguish whose side of the room belongs to who. You don’t need to create your photo wall on an actual wall (as crazy as that sounds). It will look just as stylish resting on your fireplace or stacked on a shelf. We love the casualness of overlapping designs too. Framed wall art is perfect for lining up on the fireplace and you can co-ordinate your frames with the colour scheme of your living space. 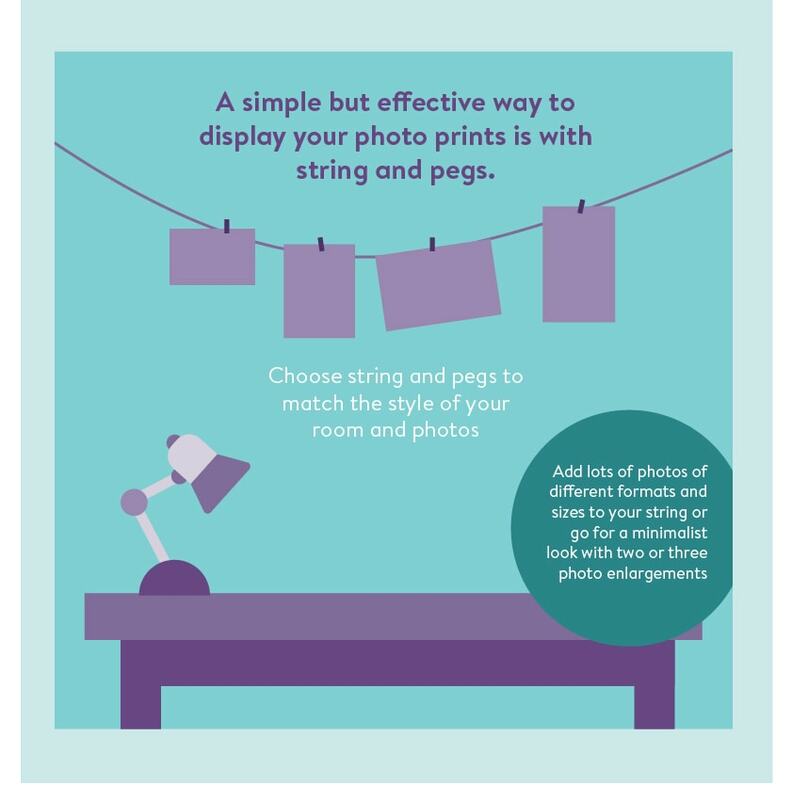 Easily display your photo prints on a single piece of string. Clip them on with mini pegs and string them from one side of the room to the other. 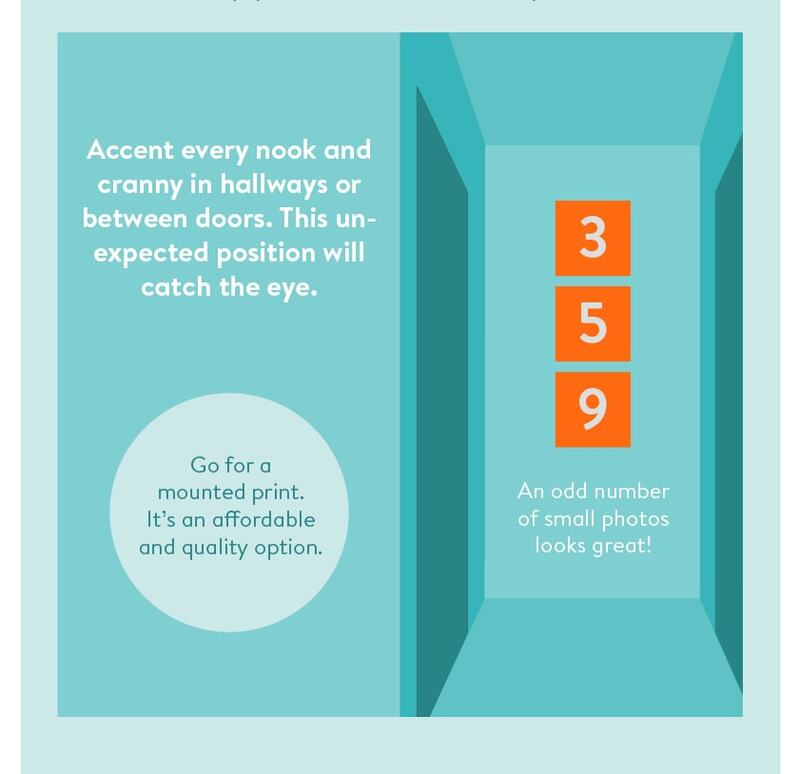 For more ideas read our photo hanging tips. 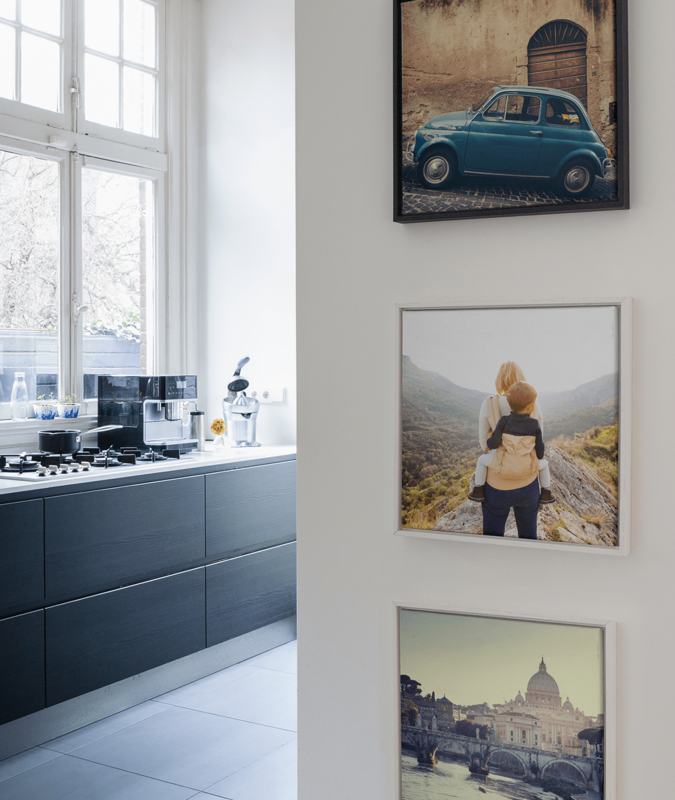 Hanging your photo prints on a string above a desk will provide inspiration in your workplace. 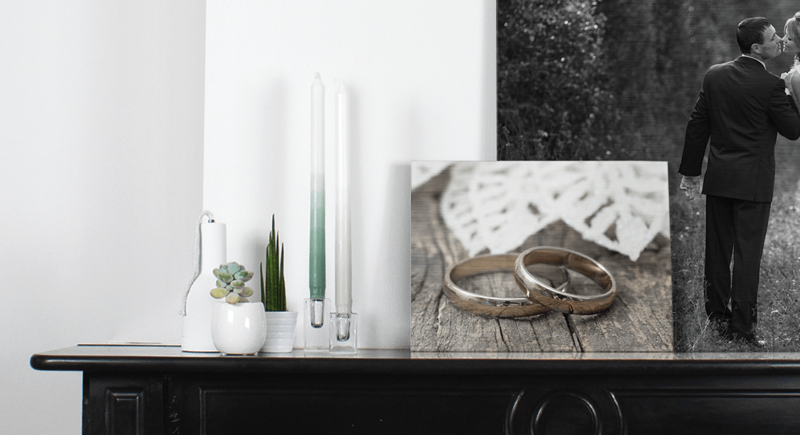 Create a fun and eclectic collage on your wall with photo prints. For more tips and tricks on creating the perfect collage read this blog post. 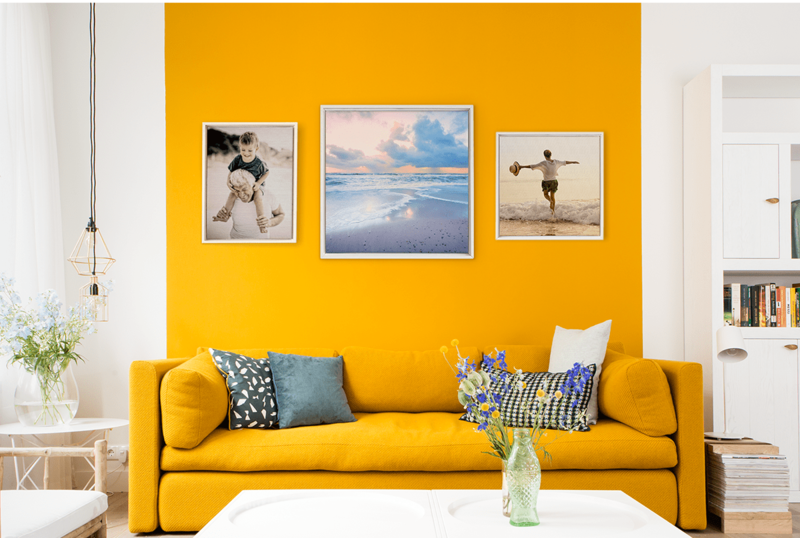 Creating your photo collage on a plain white wall will ensure that the colours really pop. For more inspiration like this watch our video on how to style a space with wall art and prints and you’ll be ready to get started on your very own photo wall. 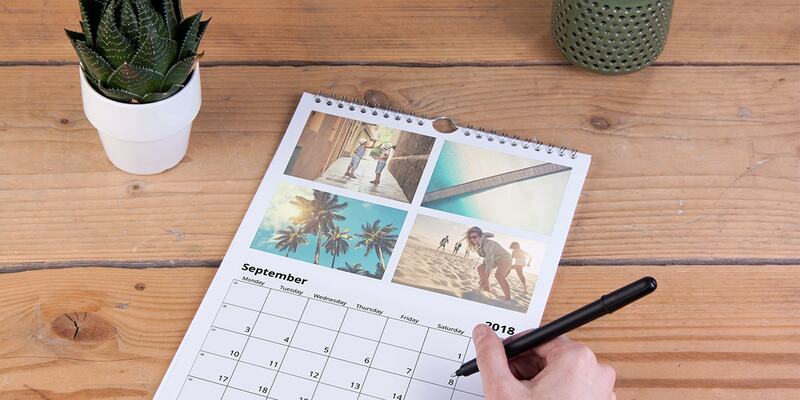 Gather together some photos of your favourite moments and easily create photo prints and wall art in our creator tool. 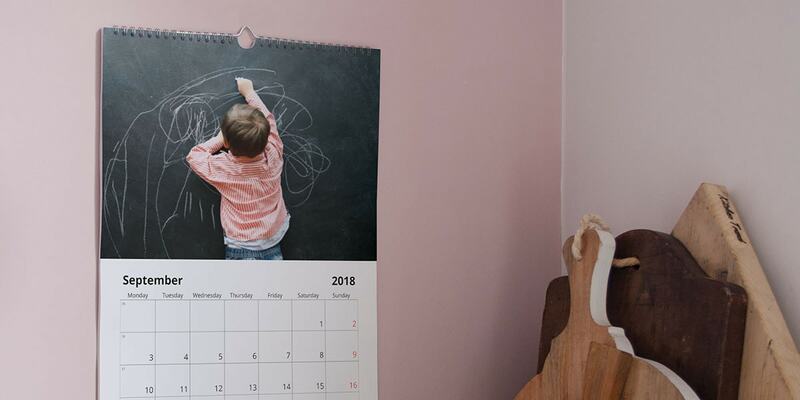 Once you’ve created your photo wall, we’d love to see it, so share a photo on social media using the hashtag #myalbelli or upload it to our photo gallery. It will be featured in our gallery and you’ll be entered into our contest to win an albelli voucher!